Metabolic overload can happen to anyone even if we have the best intentions. Ambition, love of life and an unstoppable work ethic can be the greatest gift. These gifts require a clear mind and abundant energy. My mission is to help you achieve them through the alignment of your health goals with your life goals. Your health is an asset, not the price you are paying for your success. You are your greatest investment and you have the power to dramatically influence your performance. Your body’s ability to burn fat, make energy and think brilliantly are all connected through your metabolism. Metabolic flexibility depends on the optimal function of your liver and digestive tract. Wants to shed the winter sluggishness. Get energized and improve their mood focus and concentration. Has had trouble losing weight. Especially those who have struggled with the ketogenic diet or intermittent fasting. Is looking for a jump start to lasting lifestyle change. Is tired of blood sugar crashes, moodiness, pain, and fatigue. This program has been designed by Dr. Erin Wiley and supported in her clinical practice for the past 11 years. 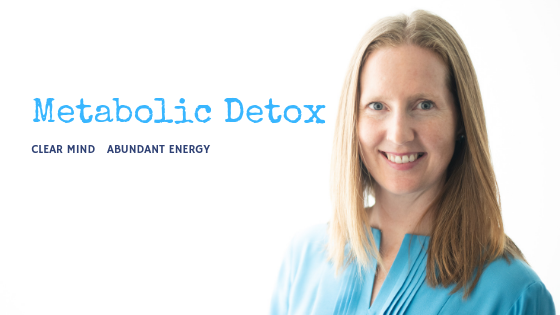 The intention behind the metabolic detox is to provide short term intensive support to your liver, recover efficiencies in your metabolism and support optimal detoxification and elimination. The program is generally 2-4 weeks long depending on your clinical assessment and comprised of a nutrient dense diet and supplementation program. The intention of this plan is to offer clarity to your nutrition choices. 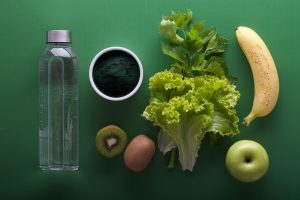 Maximizing nutrient density, while you work to remove stimulants and hormone-disrupting foods like alcohol and caffeine. This plan can be flexible and with the support of our nutritionist can be modified to accommodate vegetarian, paleo and vegan diets. It is not an ideal plan for the ketogenic diet as the intention is to lower the triglyceride levels for a period of time allowing the liver to focus on recovery and lipid optimization. It is, however, often used as a liver preparation plan before initiation of a ketogenic diet. Optimal sleep is essential to efficient metabolism. Your circadian rhythm influences the genes that turn on your metabolism. You will develop your sleep skills and learn to turn on this powerful resource. Relaxation is extremely productive for detoxification and optimal metabolism. This is where you can engage your parasympathetic nervous system and get more internal re-set work done for your time and energy. This program supports optimal bowel movements and elimination, which is essential for detoxification. Movement is good for circulation, elimination, and metabolism. If you have been exercising before the plan most people can continue, however, we must ensure you are getting optimal recovery. Modifying the intensity of your exercise program may be required while you are going through the detoxification process. Rest assured that this is a short term jump-start to your metabolism that leads to improved access to energy and better exercise performance in just 2-4 weeks time. A Bio Impedance analysis is completed at your initial assessment to determine your body composition, phase angle, and intracellular fluid percentage. These are the markers we intend to improve through the plan and are an indication of improved metabolic function. Your blood pressure and waist circumference are also key performance indicators and markers of long term health promotion. Many clients on our four-week plan additionally test their liver enzymes, cholesterol panel and HBAIC. Appropriate individual testing will be recommended by Dr. Wiley. Book a free 15-minute consult to understand if this program is right for you. Clients are billed at each Naturopathic appointment and the extent of treatment depends on your individual assessment. This program is not sold as a package. Let’s face it. We have all tried and failed at dieting. Despite the perfect meal plan or nutrition guide, even with the best intentions, and our deepest willpower. Our 10 years of experience in the industry have taught us that success is not defined by the nutrition plan; it is defined by your system of support. Our program is unique and designed to offer you unlimited professional support. Our program will save you time and energy. Our program offers professional evidence-based support. Our program will adapt and fit your busy schedule so that you can live your great life. Following a diet, online programs, or meal plan has not worked for you. You need a strategy that will adapt to your life. If you know that you want to make a nutrition and lifestyle change but have not had the time to research and develop your best strategy. 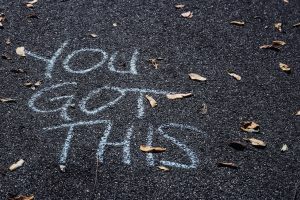 You are suffering from information overload and need someone to cut through the bull$#*t and develop a simple strategy so that you can take action. You have complex health needs that require close monitoring like digestive problems, hormonal imbalances, mood issues, or other obstacles to your performance. You want to start a new style of diet (plant-based, paleo, keto, etc) and need someone to lay out a straight path so you can execute. Heather believes in your ability to live to your highest potential. She is not about fad diet trends; she is about sustainable lifestyle changes. You don’t have to feel tired all the time. You can feel motivated, confident, and strong. You can align your health goals with your life goals and access the energy you need to succeed. Heather is a Holistic Nutritionist and Yoga Instructor who has a Master’s of Science in Public Health. Heather is our lifestyle execution expert. Her goal is to help you love food, love feeling good, and love moving forward. Her style is to prioritize and break things down, to make it easy for you to focus on accelerating your lifestyle. Our amazing team of Naturopathic Doctors and health professionals supports Heather. If you are working with a Naturopathic Doctor on our team, enlisting Heather’s support is the perfect synergy. Your Naturopathic Doctor expertly guides your clinical treatment plan, while Heather literally gets into the kitchen, boardroom, your head, and even the bathroom to get your body working for you instead of against you. Heather understands the challenges you are facing. She is an ambitious confident woman who had suffered from depression and anxiety for many years; until she changed her lifestyle. She specializes in using food to help mood and bringing your body back into balance when you’re overstressed, overworked, and overtired. Our program has a clear start date and graduation date, to keep you on track for success and accountable to your highest self. The program runs for a period of 3 months. Three months is a period of time proven to support a health behaviour change strategy that is sustainable. Not one week, not 30 days…. 3 months. During this time you have access to Heather’s expertise, guidance, and toolbox of recipes, meals plans, and mindfulness strategies. She is here for you every step of the way. She will tailor the program to fit your life. You can access Heather in person, via phone, Skype, or e-mail. One initial visit in person to go over your goals and design a personalized strategy. Weekly contact to support your momentum via e-mail or phone. Heather will curate concrete action items, recipes and resources that suit your needs and support your success. An in-person coaching session at the halfway mark. One final in-person meeting to help you cross the finish line. To determine if this program is right for you, book a FREE 15-minute consultation with Heather to talk about your needs.